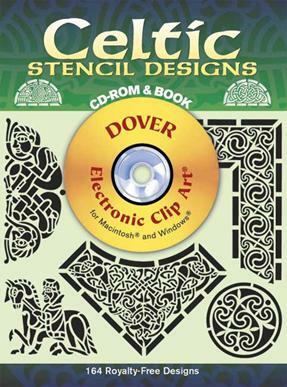 Stirring images of traditional Celtic art transformed into a collection of exciting versatile stencil designs depict birds and beasts of myth and scripture elegant abstract designs and more. Available in a variety of sizes shapes and complexities these attractive and dramatic illustrations are ideal for graphic artists textile designers and craftspeople. 164 black-and-white illustrations.